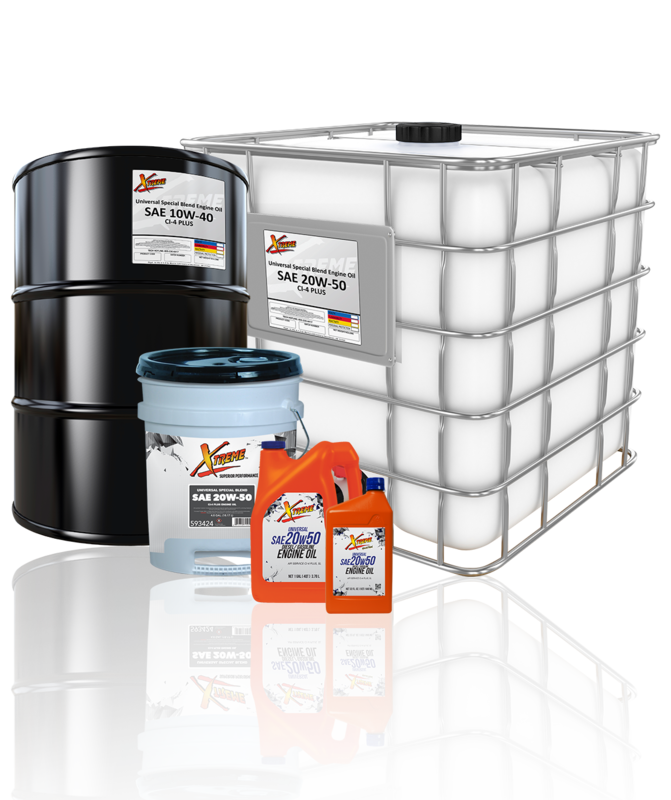 Xtreme™ Universal Engine Oils are formulated using Group II base oils and a state-of-the-art additive package to meet current API and OEM requirements for volatility and oxidation resistance. Xtreme Universal Engine Oils are premium, multi-grade crankcase lubricants that provide outstanding performance in both diesel and gasoline engines in severe service and varied operating conditions. Xtreme Universal Engine Oils are ideal for use in over-the-road fleets, automobiles or light/medium duty trucks with diesel or gasoline engines, stationary engines, construction and farm equipment, and logging equipment. Xtreme Universal Engine Oils are available in the follow viscosities: 10W-30 CI-4 Plus, 15W-40 CI-4 Plus.